Thanksgiving is one of the most delicious holidays of the year. The fun comes in preparing—and enjoying—a feast for family and friends. 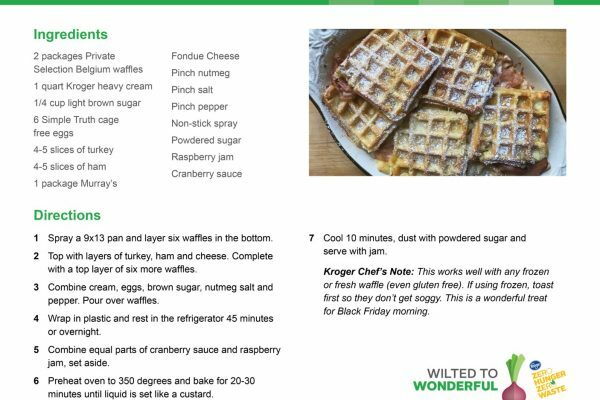 But what to do with all that leftover turkey? 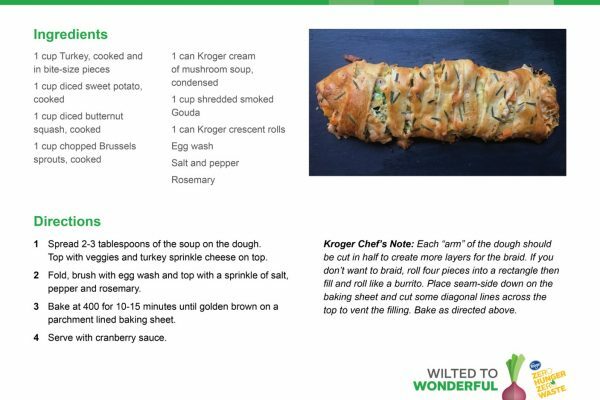 This year, Kirsten Dockendorff, product development chef at Kroger, offers tips to think beyond the sandwich and tap your turkey for everything from zesty enchiladas to simple dog treats. 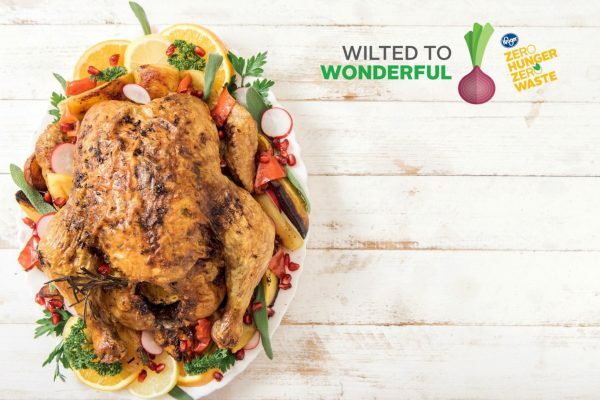 “While leftover turkey sandwiches are delicious, it’s fun to get creative and think outside of the box to keep those post-Thanksgiving meals exciting,” says Chef Kirsten. • Only carve as much as you think you’ll eat on Thursday. Uncut meat won’t dry out as much in the fridge, so leave a whole breast or thigh intact and carve it as needed in the days to come. 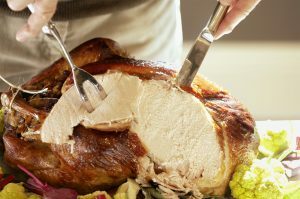 • If you do carve the whole turkey, no big deal; cover leftovers in a little bit of gravy or stock before storing. 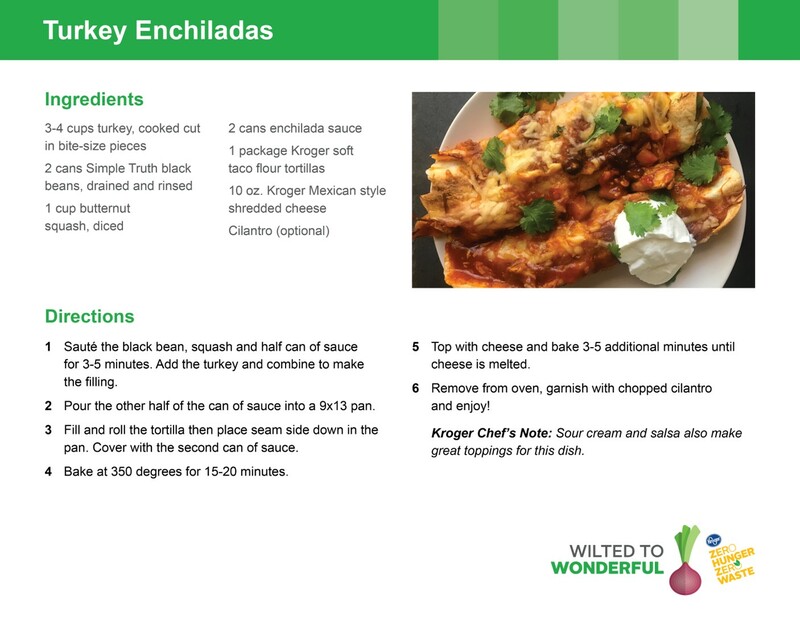 • Leftover turkey will keep in a sealed container in the fridge for up to four days. If you have more meat than you can eat before the weekend is up, portion and freeze it in a sealed container for up to three months, then thaw it in the fridge (overnight) or microwave whenever you have a craving. 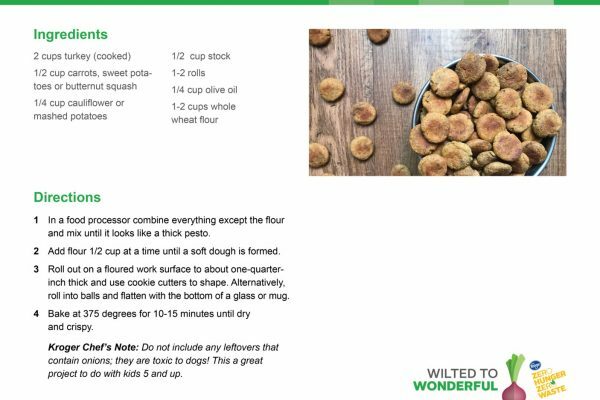 And, be sure to check out these recipes for delicious ways to transform your Thanksgiving leftovers into something even your dog will love! These recipes will take your leftover turkey from breakfast to dinner. 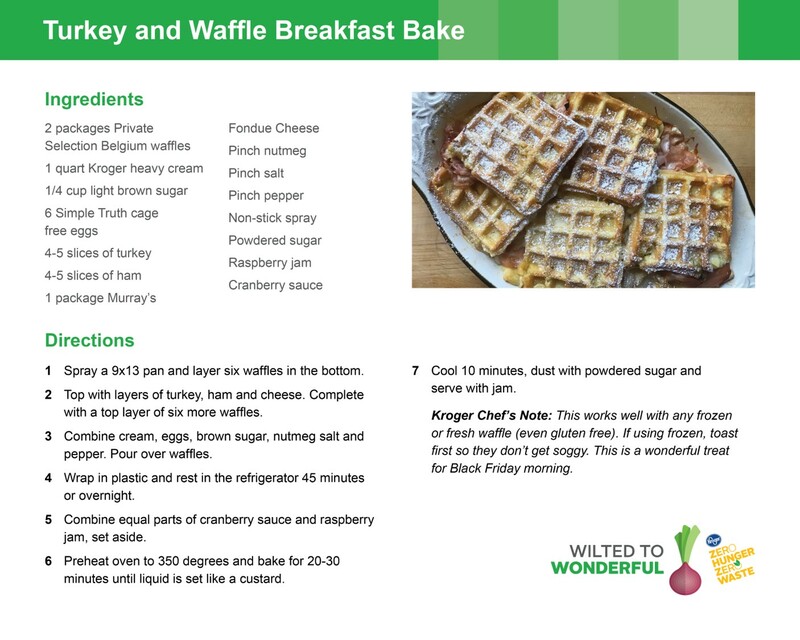 The Turkey and Waffle breakfast bake is great if you need to feed overnight guests and don't want to spend your morning flipping pancakes. 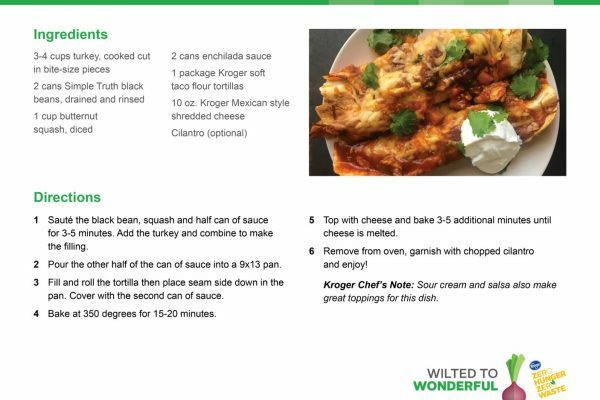 Turkey Enchiladas are zesty, filling and will also use up some sweet potatoes or butternut squash. 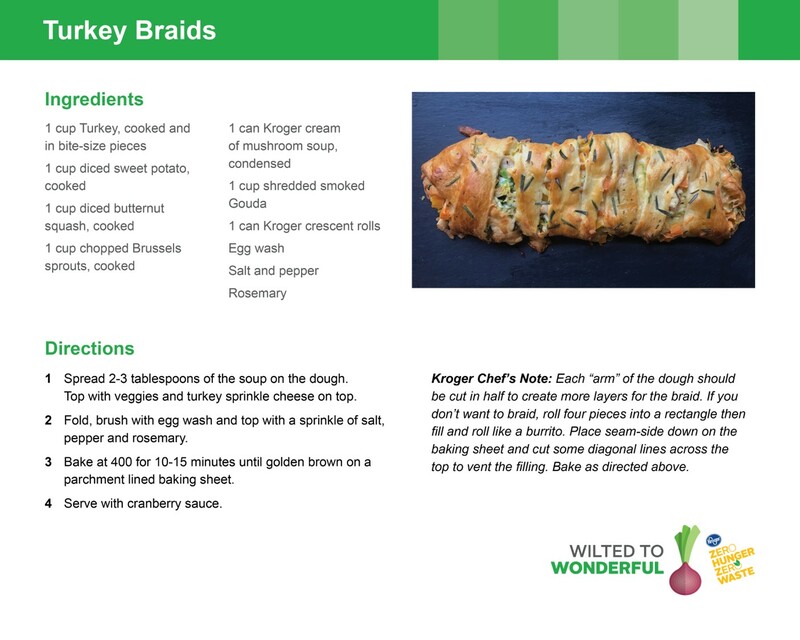 Crescent rolls and leftovers can be transformed into a lovely Turkey Braid, which also offers a way to get kids involved in the kitchen. 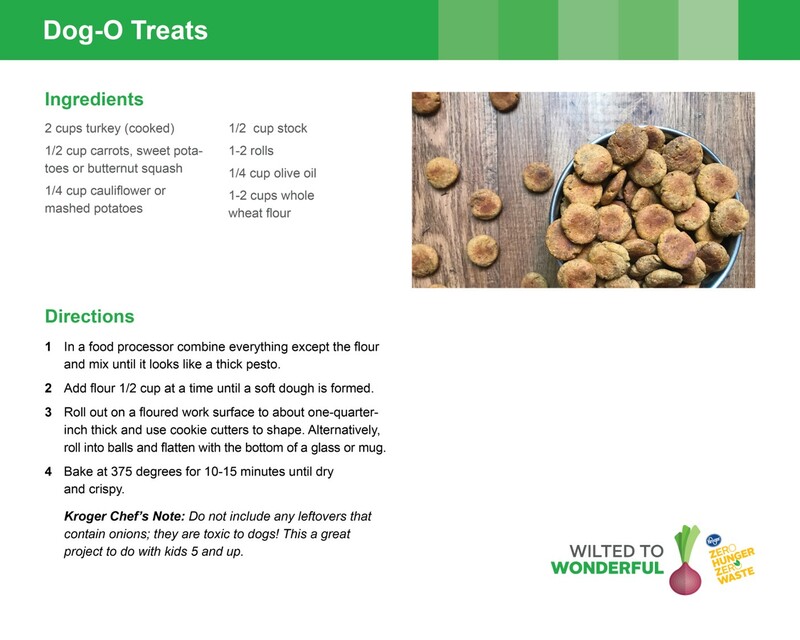 Even your four-legged friends can join in with these easy baked Dog Treats ensure that every dog will have his Turkey Day too!